Model 192CDLR is a heavy duty chain driven live roller conveyor, specifically designed to transport medium-weight loads such as tote pans, castings, drums, pallet loads, and the like. 1.9″ diameter x 12 gauge steel rollers, model 192S with sprockets. Removable type, zinc-plated, grease packed, labyrinth sealed. 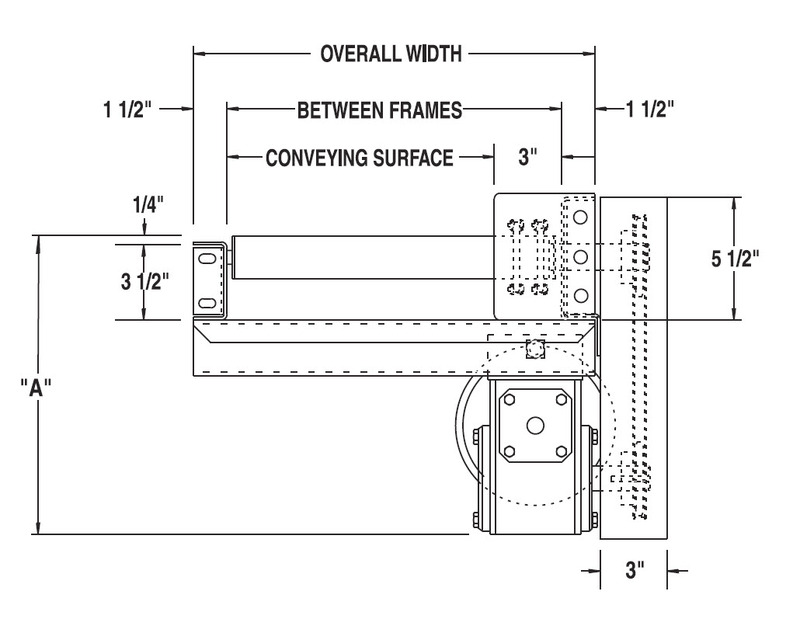 Intermediate bed section lengths are available in 1′-0″ increments. Minimum overall conveyor length with drive 5′-0″. 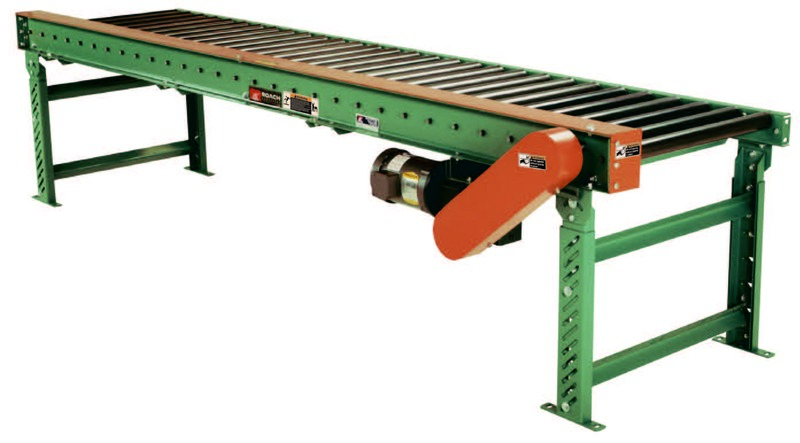 Maximum overall conveyor length 80′-0″. 1/3 HP, 230/460/3, 60 cycle, ODP right angle gear motor. 5-1/2” x 1-1/2” x 10 ga. and 3-1/2” x 1-1/2” x 10 ga. formed steel channel frame. lengths from 5'-0" to 80'–0"